The origins of grappa are clearly Italian. However, the process of its making originated in Egypt, at the time of Queen Cleopatra, and is linked to the mysteries of alchemy. As the story goes, some Egyptian alchemists had designed special equipment for distillation that went under the name of “Cleopatra’s philosopher’s stone”. The Romans came somehow to know it as the “Crisiopea di Cleopatra”. 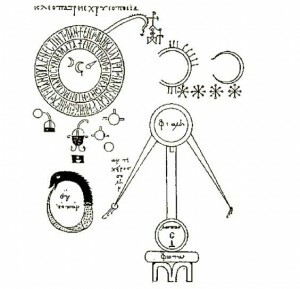 Such equipment was eventually stolen from Cleopatra’s court in the II century C.E. and later reappeared in the Italian village of Bassano del Grappa, in the hands of a Roman soldier. The “Crisiopea of Cleopatra” was basic distillation equipment made of hourglass-like bottles. The Roman soldier applied the distillation principles ruled by the School of Salerno to process grape pomace (i.e., grape skins, pulp, seeds, and stems). What he obtained was grappa. 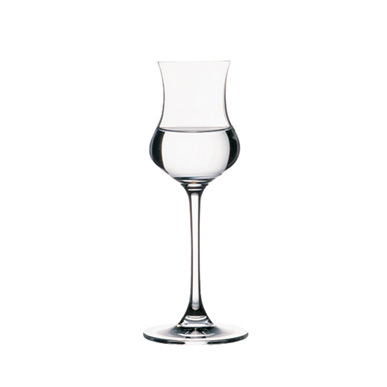 Grappa is a fragrant graped-based pomace brandy containing 35 to 60 percent alcohol by volume (70 to 120 US proof). 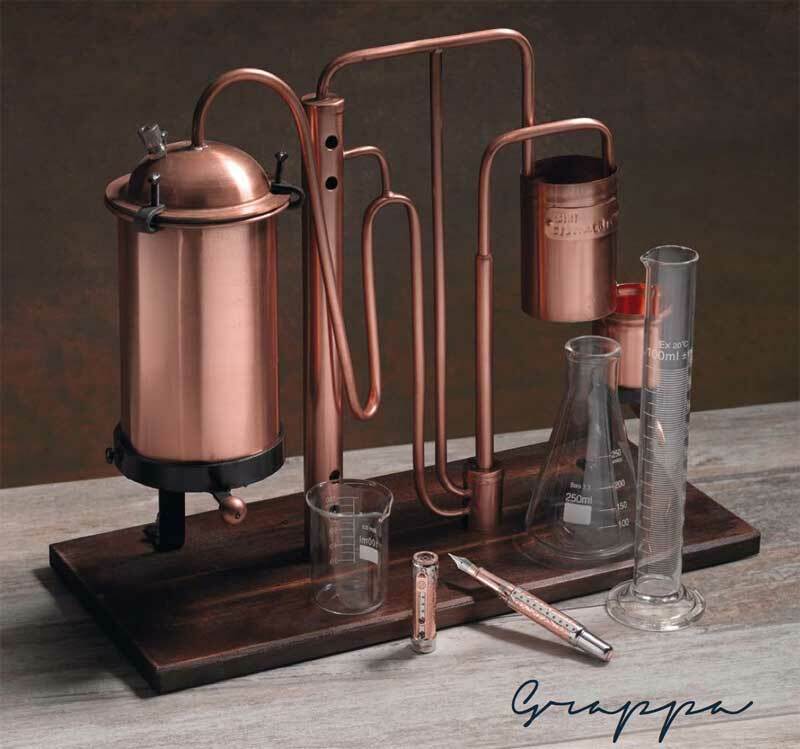 Like wine, grappa’s flavor can vary consistently according to the quality of grapes and distillation process used. What we call “pomace” are leftovers from the winemaking process. Professional tasters distinguish four categories of grappa: young, cask-conditioned, aromatic and aromatized grappas. Grappa is now a protected name by the European Union to distinguish Italian brandy from all other types of brandy. The most famous brands are Nonnino, Nardini, Poli, Brotto, Sibona, De Negri, and many more. As many other Italian products, grappa has its own etiquette: its use is that of a “digestivo”, or after-dinner drink. Indeed, drinking grappa after a heavy meal helps the digestion. 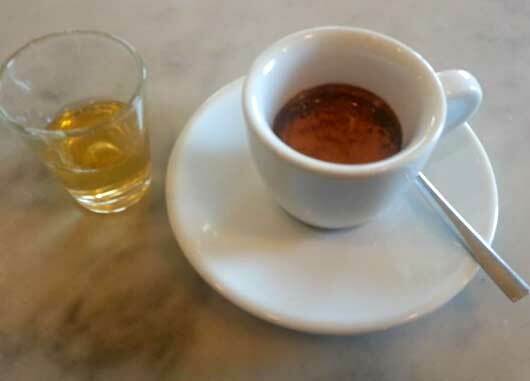 It is typically drunk in shots, separately or in the tiny espresso cup, after coffee. When liquors are drunk after coffee in a shot, as is the case of grappa, they are commonly called “ammazzacaffé” (literally, “coffee killer”). In the province of Venice, where Bassano del Grappa is, grappa is often used also as an ingredient for “caffé corretto” (meaning “amended coffee”). Bassano del Grappa is a small city in Northern Italy, under the jurisdiction of Venice. It lies at the feet of the Venetian Prealps, overlooked by Mount Grappa (Monte Grappa in Italian). 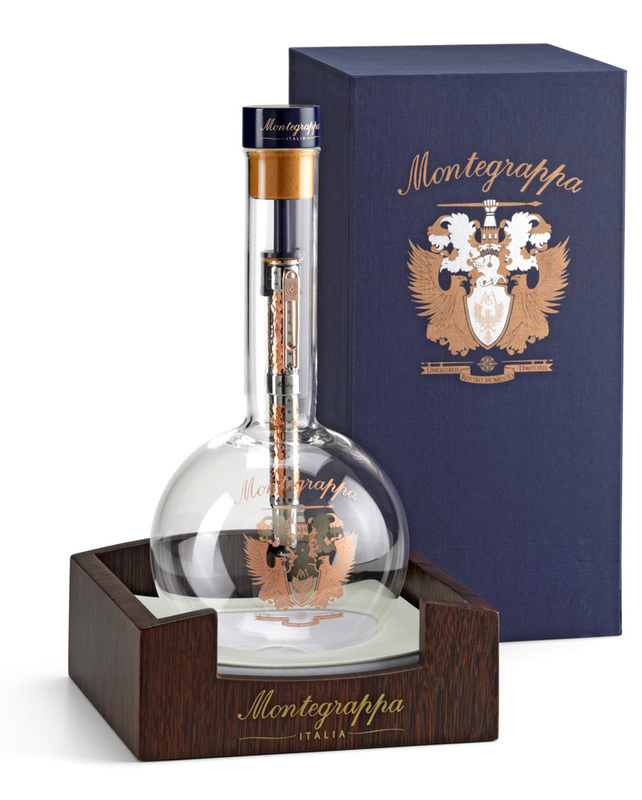 Whereas “grappa” owes its name to the city of Bassano del Grappa, pen maker Montegrappa, whose headquarters are in Bassano del Grappa, owes it to the nearby mountain. Pen series Grappa by Montegrappa were designed as homage to both the city and the liquor. Grappa is latest series of pens to be added to the Cult Collection by Montegrappa. Grappa pens stand out by their distinctive body made of copper and brass. These are also the materials distillation vessels are made of. The layout of these metals is also designed to resemble the distillation equipment. The barrel and the cap were hand-forged through a special technique. Little screws add flare to the design. 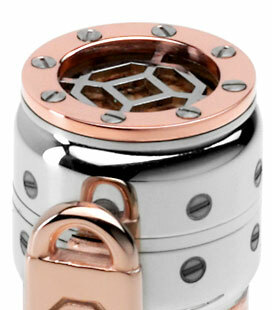 The clip is shaped to resemble the copper pipes that are used in the distillation process. The caseback of the cap is a disk made of cork, as are the tops of grappa bottles. It is engraved with Montegrappa’s logo. The nib is of 18k gold in two hues and it is embellished by the incision of a bunch of grapes on a vine. Grappa is sold in two versions: fountain pen (cartridge or converter filled) and rollerball pen. Both versions are available in a limited series of 1912 pens, corresponding to the year Montegrappa was founded. Each pen comes in a box shaped as a typical grappa bottle: the pen is inside a blown glass bottle with a large globe base. 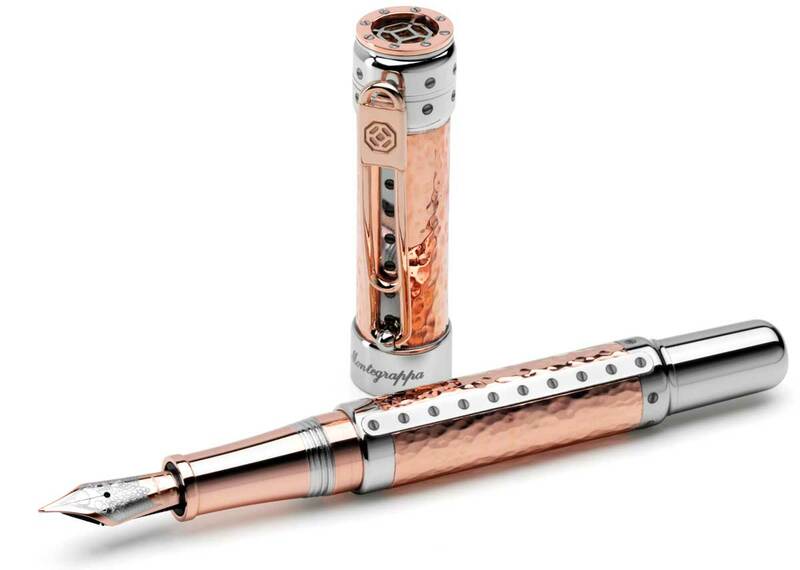 The glass bears Montegrappa’s logo made of metal. Grappa is a collection of pens for all the lovers of fine liquors. Now you can have yours from Giardino Italiano, since October 2015.